The Komodo tour packages by Hello Flores will take you to another world, Heaven on Earth, from an island to another, from a paradise to another. Hello Flores aims to gather the most exciting things to do and the most beautiful places to explore in Flores island and the Komodo National Park, a UNESCO world heritage. Hello Flores will help you make your trip your ultimate travel experience and the best Komodo Island tour you can find! Discover more about Flores, Komodo liveaboard and our Komodo Island trip from Labuan Bajo, which offer unique Komodo tour packages and cruising experiences beyond expectations. Welcome to Hello Flores, where your journey begins! Flores is one of Indonesia’s greatest and most fascinating islands, as it remains preserved from tourist crowds. Forged by active volcanoes and eroded by the ocean, Flores has many secrets to offer. Come and discover untouched waterfalls, breathtaking islands like Padar Island and Komodo Island, lakes and pink beaches, or visit traditional villages deep into the mountains. Flores is also a world class dive site and the home of prehistoric animals, the Komodo dragons. Flores is a land of diversity which has something to offer for everyone. "We spent 7 days onboard sailing around Komodo Island thanks to Hello Flores, exploring neighboring islands, scuba diving some of the worlds best dive sites and pushing some free diving limits. It was definitely an adventure that will forever etched into my mind!" "We had the very best time sailing through Komodo National Park. We met people from all over the world, saw Komodo Dragons, were snorkeling with manta rays and turtles, did sunset hikes and relaxed on beaches like this one. Flores is insane"
"After spending an awesome day out on the boat cruising through the most beautiful archipelago, we had just enough time to check out the island of Kelor before the sun went down. 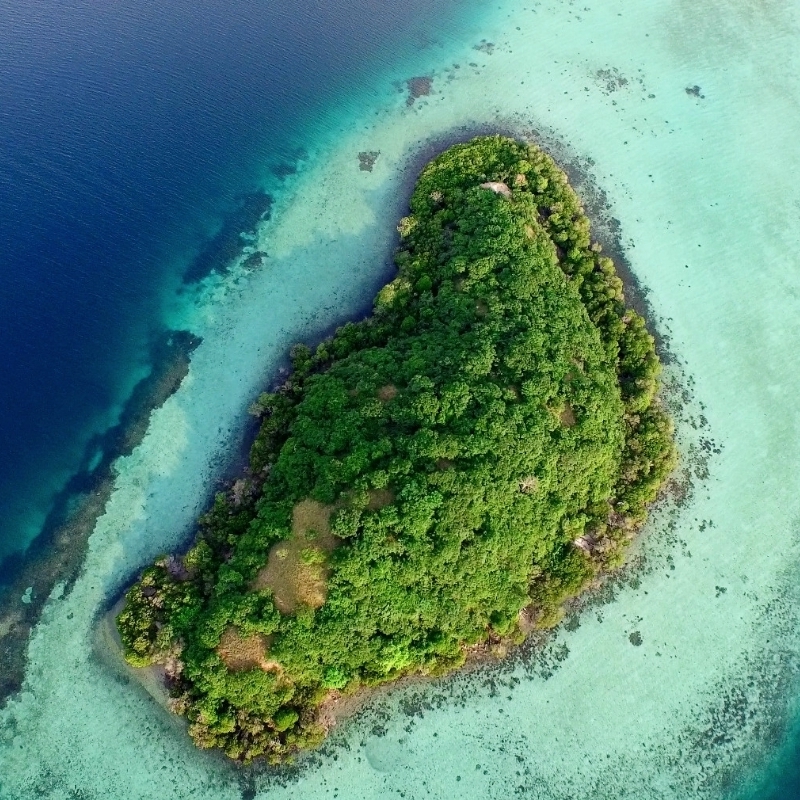 This inhabited slice of paradise absolutely took our breath away"
"One of the best days of my life sailing around Komodo National Park." "My favorite place in Land was definitely Kelimutu. We’ve been dreaming about it for such a long time and finally make it there was a truly wonderful feeling. Accomplishment, joy, disappointment cause it was so foggy than we couldn’t even see the lakes but suddenly like a fairytale the wind blew everything away to reveal the true heart of Flores island. This was also one of my favorite moments." Cruising through the Komodo National Park with our brand new Komodo liveaboard is a unique and unforgettable adventure! The Hello Flores team will make your trip the best Flores tour package you can have! All you have to do is pack your bags and get on board, adventure is calling! "Flores" means "flower" in Portuguese, a name given by its 16th-century colonists as they found flowering Flame Tree on the island. Well, the name suits very well with the blooming beauty of Flores we have known today. Komodo Island tours from Bali are very easy to organise, only 1 hour and a half flight from the airport of Denpasar and you will arrive in Labuan Bajo, a small port town and launching point to Rinca Island, Komodo Island and other nearby islands. Almost every trade and commerce take place here, including a range of accommodations, shops, and western restaurants, leaving the rest of the island living harmoniously with nature. No traffic jam and rush hours to hold you stuck in the streets, not many shoulders to bump in the beach, and it almost feels like the whole island is yours. You can also enjoy the area with a Labuan Bajo trip to discover the hidden canyons and waterfalls near by. A perfect first day is paradise! Flores Island redefines the means of isolation. With a neatly-arranged Komodo tour package, it’s easy to dwell in an illusion of wandering in a lost paradise under the dome of the clear blue sky, between the vast hills, and among the quiet pristine beaches bordering the Flores Ocean in an impressive gradient of blue. In the center of the island, the cloud-ringed Kelimutu Mountain loomed from afar, its top hold the striking three-colored lake. As if it’s not magical enough, the colors of the lakes are known to change almost whimsically, ranging from shades of green, blue, white, to red, black, and brown. Crystal clear water runs from the mountain into every rivers, waterfalls, and cave lake to end in the ocean without losing its clarity. The raw beauty of Flores doesn’t stop here; it extends into small neighbor islands and Komodo tour package will take you sailing from island to island to discover them all. Kelor Island will take your breath away with its two soft sandy beaches and panoramic view to Flores, Rinca and other islands around. The Pirate Bay or Gili Lawa Darat island offers a breathtaking view and incredible water activities with a chance to see a humpback or blue whale. And wait until you get into Padar Island, where three bays of curved beaches pushed from both sides of green bumpy hills. At your left, blushed pink beach and black beach sits stunningly side by side. On your left is pristine white beach, and all are calling you to climb down to the coast. A visual feast by nature, feels so surreal it’s almost like waking up in Neverland. 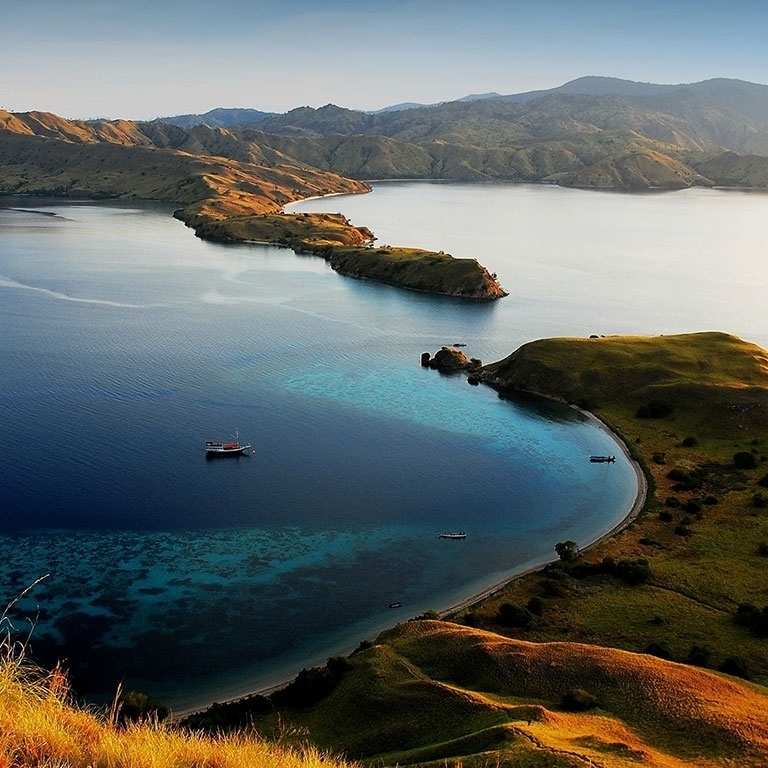 Komodo tour package will take you to adore the alluring life beneath the shoreline. Take your dive suit or snorkeling equipment and plunge into the blue water to greet Flores’s incredible marine life. Technicolor corals blossoms at the seabed, brimming with school of fishes and sea critters. Just several meters above, the gentle Manta Rays are crossing, graceful as ever, and this beauty is offered at Manta Point. The dragon lives beyond the legend. They might not have a pair of broad wings to roam in the vast sky or breathe fire. Instead, they creep on the crisp land with their massive, scaly body, and armored with razor sharp teeth and venomous saliva. They are famous by the name “Ora”, means “land crocodile”, among the locals. And yes, though they can’t fly, these giant beast are gifted with swimming prowess. Growing to 8 - 10 feet (3 meters) in length, seeing this giant lizard is truly one kind of experience. Seeing them sitting lazily under the sun is enough to make your heart beat ten times faster, but if you are lucky, you might see them feed on deer or piglet in the morning. Living in Komodo island, Rinca, and Padar, this terrifying dragon offers a breathtaking trip which requires well-grounded guide from rangers to keep you safe. A Komodo island tour can take up into the trek, as the Komodo National Park itself consists of the main island of Komodo, Rinca, and Padar. Komodo island tour price itself can vary depending on the itineraries you take, but each offers gratifying experience. Being one of the New Seven Wonder of Nature and Indonesia’s national animal, Komodo dragon is what make Flores gain its initial popularity. They even say that you’ve never really landed on Flores until you see these endangered species by your own eyes, so a trip to Komodo Island really is a must for every traveler’s bucket list. Take a Komodo Island trip to the only place in the world where you can see Komodo dragons in the wild.